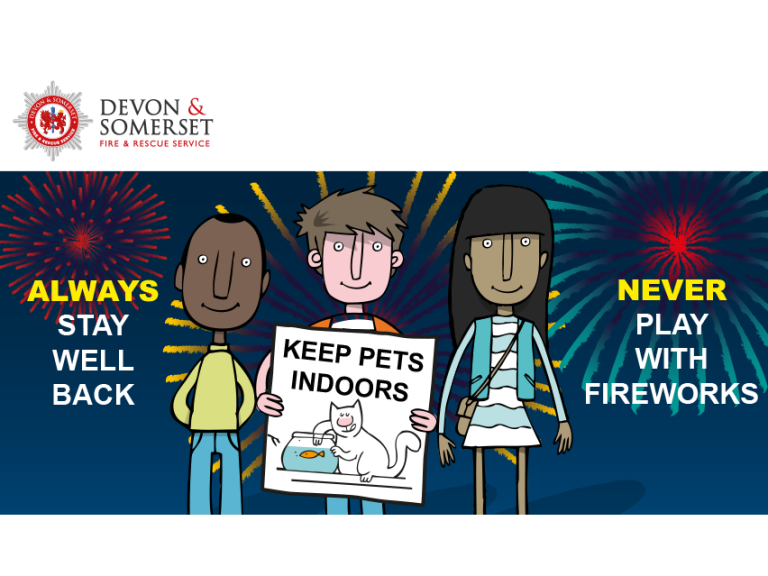 Devon & Somerset Fire & Rescue Service are working are alongside both Devon & Cornwall police and Avon & Somerset police as we want everyone to have a safe Bonfire night. Watching fireworks is popular and fun by following some simple do’s and don’ts risks can be greatly reduced. As fireworks are explosives and burn at such high temperatures, the utmost care is necessary in their storage, handling and use, whether you are organising a display for the family, friends or the general public. Marc House, Community Safety Prevention Manager said: “While most people enjoy fireworks responsibly, in the wrong hands they can cause real misery. Remember that fireworks are explosives, and as such should be treated with respect and only used in accordance with the manufacturer’s instructions and the Firework Code. If you are thinking of arranging or organising your own Bonfire Night party have a look at this important information before you make any plans. For more information visit our Bonfire and Fireworks safety page and download our leaflet. We would like to thank everyone for taking extra care during this period.